HomeExcited for a show filled with new music! Excited for a show filled with new music! Such an amazing time for new music in the Gem City that we can barely contain ourselves – it all feels like an incredible dream! We simply could not be more excited about the show tomorrow… premiers from so many great bands that we keep pinching ourselves because we just have to be dreaming, right? We will be playing a great new songs from Dayton’s own Moira – ‘Midwestern Waste’ off of the Asleep/Repeat/Awake EP which you can download tomorrow night after our show because they are giving it away as a free download on their Bandcamp page moirabandofficial.bandcamp.com! If you have not seen one of their recent concert – trust us, you want this song and you want it badly! Oh yeah. One of our favorite Dayon bands Me & Mountains have new stuff for all of us. ‘Gold’ is from their yet untitled upcoming fourth record recorded with Micah Carli at Popside Recording Studios. The band is several songs into their recording with Carli and based on this track alone – the future looks good for Me & Mountains and your ears! We are also fortunate to have a track from Good Luck Year‘s Tinder for the Fire EP with ‘Temporary’ which they will release during their set at Dayton’s Music Art and Film Fest! 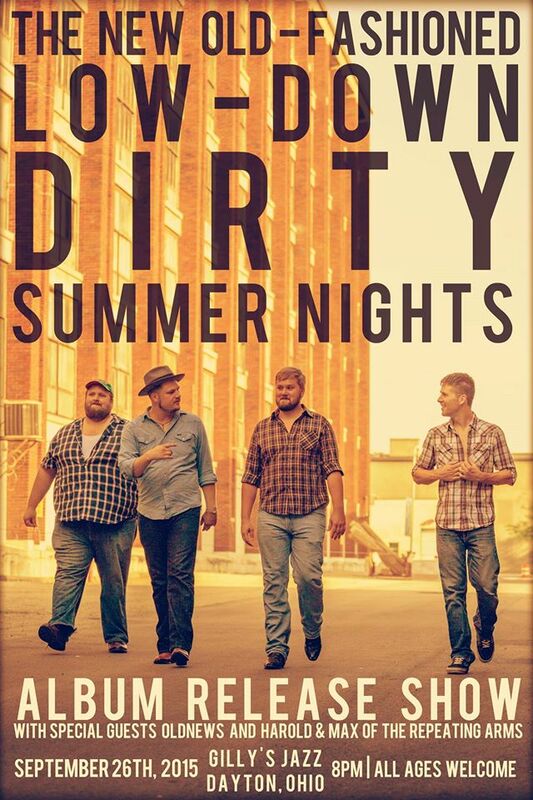 And not to mention the guys in The New Old-Fashioned have their sophomore record, Low Down Dirty Summer Nights headed our way on September 26th! You can go see these Midwestern barn burners at Gilly’s in Dayton, Ohio on the 26th and pick up a copy of this fine record! The band has captured the intensity of their live sound without sacrificing the harmonies and soul that make them a band not to be missed! That is enough reason to listen right there music lovers! Solid music craft is alive and well! We will also discuss the upcoming Dayton Music Art and Film Festival slated for September 18th and 19th as well as playing new music from many diverse and exciting bands such as The Bottle Rockets, Line & Circle, COLD BEAT, Sink Tapes, Wilco, La Luz, The Wheel Workers, Bad Bad Hats, Sea Of Bees,Grenades! ?, McGuff and the Dumpster Fires, The Apache Relay, and The Fratellis to name a few of the bands with new tunes that we will spin for your listening pleasure! Of course, what is a Tuesday without some cool interpretations of past music? We have an amazing cover from Robyn Hitchcock and a surprisingly atmospheric lo-fi 80s cover from Tashaki Miyaki! Where else would you get all of this indie musical goodness? 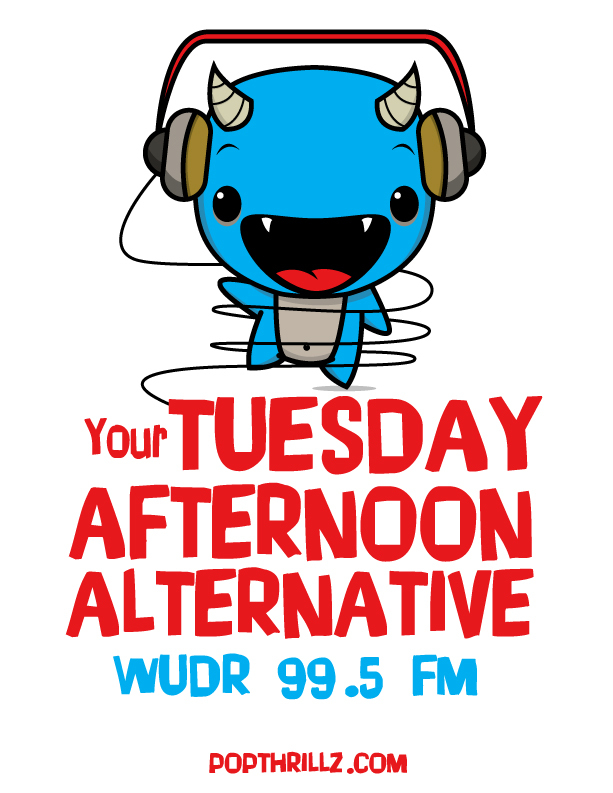 Join Dr. J from 3-6pm on wudr.udayton.edu! Remember you can always call in requests to 937-229-2774 too! See ya!